Will Earnings Strength Lift Small-Cap Cyclicals? 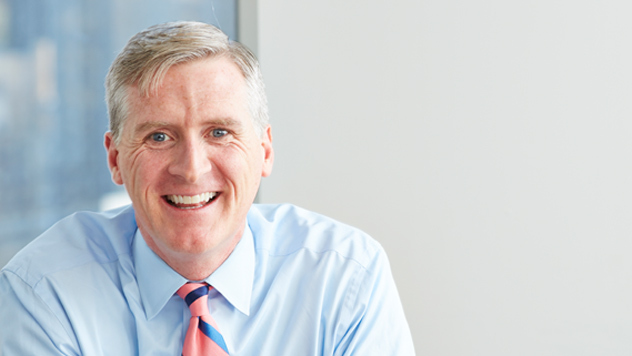 Co-CIO Francis Gannon on why ongoing earnings strength for small-cap cyclicals is bolstering our confidence. Since its most recent peak on 8/31/18—which was also an all-time high—the small-cap Russell 2000 Index fell 12.5% through 11/12/18 after hitting its most recent low on 10/24/18. From our perspective as small-cap specialists, this is all healthy—and potentially positive for selective active managers. In fact, we have been arguing for a while now that the market would enter a period characterized by increased volatility, rising rates, and lower overall returns. All of this, of course, would lead the market back to more historically typical return and volatility patterns. Yet much of the investment activity that we’ve been watching recently looks to us as if investors are worried about recessions or sharp declines in growth rates. We therefore want to be very clear that we do not see the likelihood of a recession. Corporate profits are still healthy, and consumer demand and confidence remain high. Even in light of the still healthy economic environment here in the U.S., however, anomalies still exist within the asset class as a whole. For example, the small-cap index consists of a sizable number of businesses that are not making money—approximately 36% of the companies within the Russell 2000 have no earnings. It’s also worth noting that year-to-date through 8/31/18, those non-earning small-caps had higher returns, increasing 22.8% while those with earnings advanced only 12.6%. Our own small-cap strategies tilt toward cyclical stocks with earnings that are found in sectors such as Industrials, Information Technology, Financials, Consumer Discretionary, and Materials. Over most of the last two years, these areas have lagged (within the highly diverse technology areas, the highest returns have come from more growth-oriented industries such as software). So far this year, this remains the case. 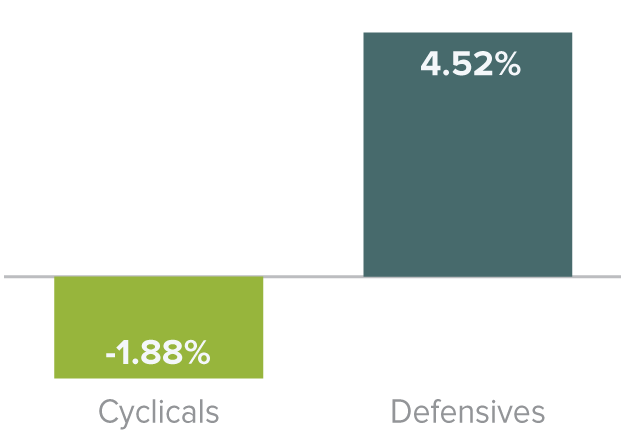 However, the recent earnings news for cyclical companies continues to be positive, potentially reversing a relative performance disadvantage that has persisted for longer than we would have thought. We continue to closely watch one-year trailing operating income growth—a key metric of fundamental strength—especially for important cyclical sectors, which are growing faster than the Russell 2000. To be sure, one reason that earnings season is so important is that announcements have a way of closing the gap between perception and reality—which often helps our holdings as other investors begin to see the operational and/or financial strengths that first attracted our interest. Of course, cyclical stock performance has in many cases been blunted in 2018 by concerns over tariffs, trade wars, an economic slowdown, and rising input costs—any one of which could potentially crimp the margin expansion many businesses have been enjoying. So far this year, then, we are pleased that the negative effects from tariff or trade have not materialized to the degree many seem to have anticipated. And rising input costs have so far been mostly passed through to customers, which is a relatively easier task for smaller companies with established niches and fewer competitors. Equally, if not more important, the earnings news we’ve been hearing from companies and the preliminary data that we’ve examined both show ongoing—and in some cases growing—small-cap earnings strength for key cyclical sectors, including Industrials, Materials, Energy, and Financials. We continue to believe that the higher volatility and lower returns we’re expecting will result in more investors looking for companies with earnings. This shift should make active management approaches that are perennially earnings driven well positioned to outperform. Mr. Gannon's thoughts and opinions concerning the stock market are solely his own and, of course, there can be no assurance with regard to future market movements. No assurance can be given that the past performance trends as outlined above will continue in the future. Cyclical and Defensive are defined as follows: Cyclical: Communication Services, Consumer Discretionary, Energy, Financials, Industrials, Information Technology, and Materials. Defensive: Consumer Staples, Health Care, Real Estate, Utilities.